He is also the author of The Future of Money, which was translated into 18 languages, and is an international expert in the design and implementation of currency systems. He has studied and worked in the field of money for more than 30 years in an unusually broad range of capacities, including as a Central Banker, a fund manager, a university professor, and a consultant to governments in numerous countries, multinational corporations, and community organizations. He co-designed and implemented the convergence mechanism to the single European currency system (the Euro) and served as president of the Electronic Payment System at the National Bank of Belgium (the Belgian Central Bank). He co-founded and managed GaiaCorp, a top performing currency fund whose profits funded investments in environmental projects. A former professor of International Finance at the University of Louvain, he has also taught at Sonoma State University and Naropa University. He is currently a Research Fellow at the Center for Sustainable Resources of the University of California at Berkeley. He is also a member of the Club of Rome, a Fellow of the World Academy of Arts and Sciences, and the European Academy of Sciences and Arts. 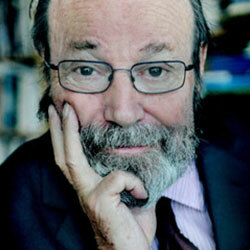 Bernard has written numerous other books and articles about money systems. To read more about Bernard, visit his personal site.